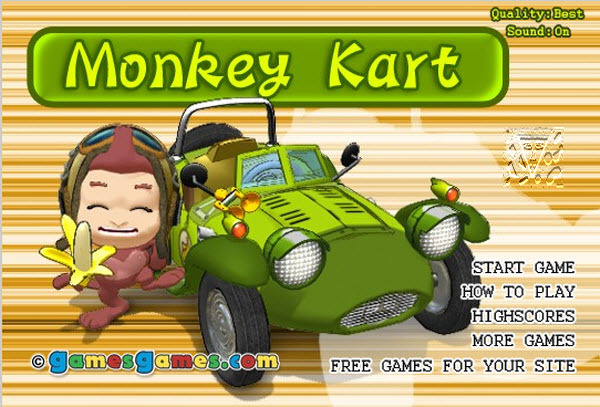 Description: Jimmy Bananas needs to reach the finish in a spectacular race. There are 8 different racers and 5 unique worlds! How to play: Arrow key left = Reverse Arrow Key right = Accelerate Arrow key up = Jump Space bar = Use Power Up Hint: Press jump at the start of the race for a turbo start.